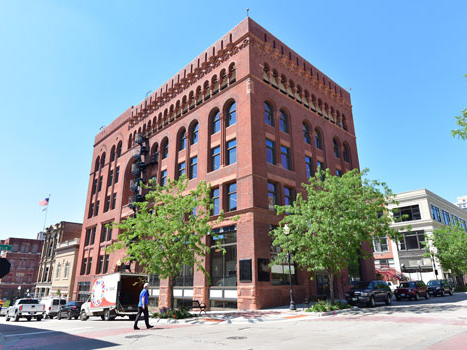 CPM helped make the restoration of Saint Joseph Missouri’s German American Building a reality. 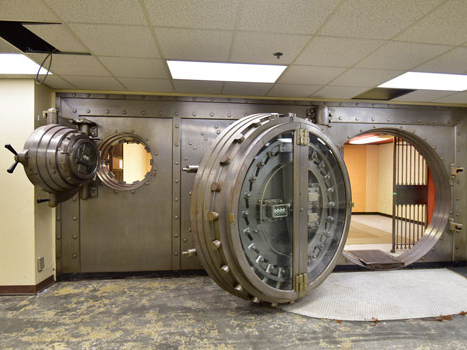 The five story 31,000 square ft German American Bank, built in 1889, was both a challenge and pleasure to renovate. CPM assisted in obtaining New Market and Historic Tax Credits which funded over 50% of the project costs. 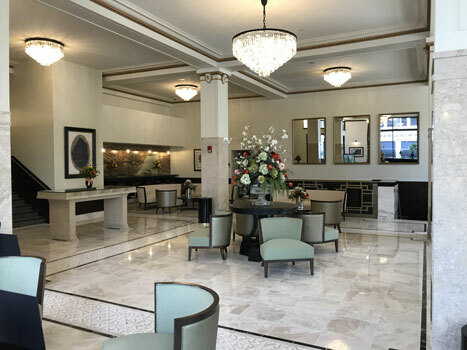 CPM assisted Aspire Development in obtaining New Market Tax Credits and Historic Tax Credits for the renovation and preservation of the German American Bank Building, resulting in funding more than 50% of the project costs. Since this was a complicated project with an opening date set well before the purchase of the building was concluded, the Team fast tracked the demolition and some structural stabilization along with creating prime contractor trade packages allowing us to improve the schedule and reduce project cost exposure. CPM completed this project by the established opening date and within the budget established when the building was purchased. 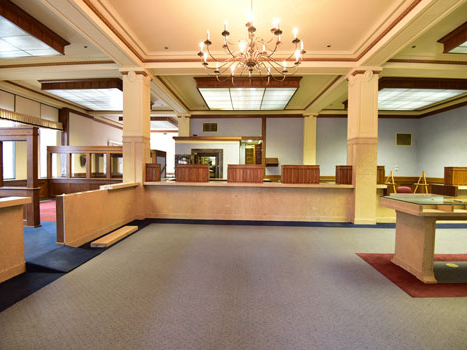 The five story 31,000 square foot German American Bank, built in 1889, was both a challenge and pleasure to renovate. Starting in the Spring of 2015, nearly 100% of interior walls and finishes were removed from a previous 1976 remodel, exposing inefficient windows, wood structure floors that had suffered many years of stress, and interior brick in great need of attention. Not only was the building out of plumb from original construction, but was a geometric trapezoid, lending itself to a great deal of field adapting. The exterior of the building was in need of repair and some reconstruction as well. The roof structure would not support modern roof top units, and the large amount of sandstone and Richardsonian Romanesque Terracotta were deteriorating to the extent the sidewalks were a constant film of red dust. Gratefully the building was placed on the National Registry of Historic Places in the 1970’s which aided in preserving the integrity of the historic items, and gave us strict direction as to our preservation. 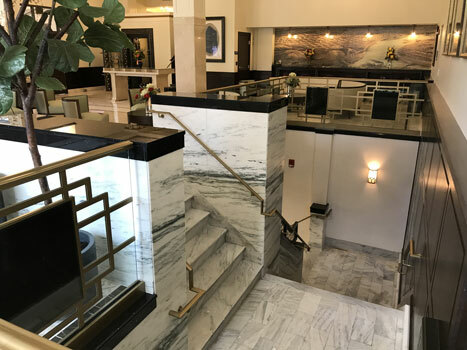 In the 1920’s a major renovation to the lobby included an enormous amount of marble added to create an interior vestibule, steps, and wrapped columns. 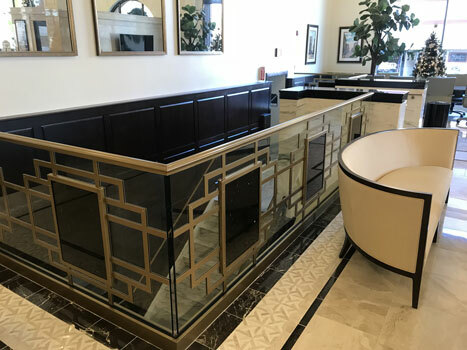 CPM had the opportunity to preserve and restore the integrity of the lobby back to the 1920’s, and yet make the building sound, along with the addition of modern MEP systems. In total, CPM replaced and shored somewhere between 350 and 400 floor and ceiling joists, new steel I-beams were inter-laced with the old wood timber trusses, and a number of 8×12 glue-laminated beams were added for roof support along with custom brackets to support the screen wall panels for new illuminated signage. Floors were fitted with 1 1/2″ plywood, up to 2″ of self-leveling compound, 3/4″ of fire shield Gypcrete topping with fire shield drywall ceilings, all used to encapsulate the wood. Ground water was a challenge at every turn. Water would fill up every excavation for each trade including new underground plumbing, new underground electrical service, excavation for surface parking lots that were constructed, and concrete footing and pier placement. Over excavation, compacted rock, geo-textile mats and drain tile were common throughout. 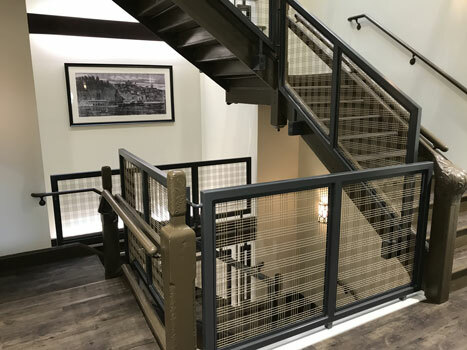 Secondary egress made it necessary to construct a new 5 story steel and masonry stair tower adjacent to the existing building, and the poor soil conditions required the use of light weight Geofoam blocks for fill support. All new domestic and sanitary plumbing systems were installed along with heat pump piping to the new roof top cooling tower, the new Dedicated Outdoor Air System, and the 26 interior heat pumps. All new ductwork, new sprinkler systems, new electrical systems, new fire alarm systems, new networking systems, and new plumbing systems throughout made it necessary to implement 3D coordination drawings to minimize conflicts on paper, long before any hangers began to be installed. The exterior masonry was restored and repaired, with great detail to hand reconstruct some of the very intricate Terracotta that had deteriorated. Tuck pointing, parging, and exterior sealant was also completed. It was discovered a 6′ X 75′ section of decorative and ornate brick parapet, that was 90′ off the ground, was falling away and had to be taken down and put back. The National Parks Department agreed to the bricks being taken down, as long as they were categorized and labeled, then re-installed, each in their respective original position. The bricks were taken apart one by one and handed to the roof, where they were placed exactly as they were taken down. The process was reversed to reconstruct the wall with excellent success. Windows were replaced with modern units that went through great scrutiny from the National Parks Department to ensure the design and color of the extrusions were period correct. Interior finishes included efficient LED lighting, marble floors, renovated marble steps, and a new 6 story elevator with steel hoistway. Many new solid wood raised panel interior doors and wood grain millwork lent themselves to the period architecture. Relax zone, comfortable break areas, and outside courtyard all add to the attention given to the Caregivers environment. Over the course of two years, the approximately 60 workers per day made the business offices space for a major medical care facility a great success.